What is the Best Multitool for 2020? There’s nothing more satisfying than having all the tools you need in one place, so it’s only natural that you would carry around a Multitool with as many features as you can find. Today’s multi tools have never been more capable and it’s hard pressed to find a task that they won’t accomplish. But as with any tool, other considerations come into play when deciding which Multitool should be your next purchase. Factors such as cost, weight, durability, and number of tools should all be taken into consideration. To help you out, we’ve compiled a list of the Best Multitools of 2020 to help you find the right multitool for your application. We’ve run them through our cost per tool analysis and the results were surprising. We’ve narrowed it down to the Top 10 Best Multitools of 2020. Leatherman is synonymous with Multitools. It’s the first name that comes to mind when almost anyone thinks of the best multitool 2020. So why stray away from what’s worked for so long? Well, we aren’t and the best multitool 2020 goes to the Leatherman Super Tool 300. Ruler (9 inches | 22 centimeters). That makes 19 different tools that the Leatherman Super Tool 300 has available at any given moment. That’s pretty handy if you ask me. 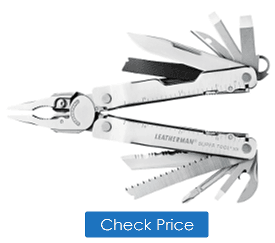 But many other multi-tools offer many of the same features for a cheaper price, why should you buy the Leatherman Super Tool 300? It ranks high on our cost per tool analysis list at $4.21 per tool. The short answer is Leatherman quality and dependability. If you work with tools a lot or run a business working with your hands, you know how important it is to not only have the right tool for the job, but have a quality tool that you can depend on to get the job done right. The Leatherman Super Tool 300 is made out of durable 420 stainless steel, so it’s not going to corrode or rust. It’s also not going to bend or break under heavy loads, like some of the cheaper multitools might. The Leatherman Super Tool 300 is that tool that you buy once and cry once. Not really though, since it’s under $100 at Amazon.com. That’s a great deal for maybe the last multitool you will ever need unless you lose it. Gerber continues to impress with quality products that look the part and the Gerber Diesel Multitool is no exception. With a name like Diesel, you expect toughness and rugged looks, well look no further. It’s offered in both stainless steel and Diesel black. The non-reflective black version is a step up from the classic stainless steel look that has dominated the multitool market for so long. It’s really is an intimidating looking multitool. If you’re counting, that’s 12 tools total. It’s slightly less than the 19 that the Leatherman Super Tool 300 is equipped with, but it still has all the main tools you would need on a regular basis. It weighs in at 8.5 ounces, which is a little over an ounce lighter than the Leatherman 300. It’s also cheaper and can be found at Amazon.com for less than $60. For its affordability, great looks, and functionality, the Gerber Diesel Multitool ranks 2nd on the Best Multitool 2020 review. If you were asked to pick the 7 tools you need the most, the Leatherman Skeletool would probably have them. Its lack of tools is made up for in its compact size and light weight of only 5 ounces. For casual use, the Leatherman Skeletool is the multitool to have and why it’s ranks high on the Best Multitool 2020 list. Another top multitool by Gerber, the Gerber Dime is an even more affordable option to owning one of the best multitool 2020. It’s not as heavy duty as the previously mentioned Gerber Diesel Multitool, but it makes up for it with its compact size and lightweight design which make it the perfect pocket multi tool. That’s 10 tools (Hence the name Dime!) that are available at any given time with the Geber Dime Multitool. Not too bad. At 2.2 ounces it’s one of the lightest multitools in the best multitool 2020 review. It’s lighter than your typical pocket knife so it can fit in your pocket without a sheath. 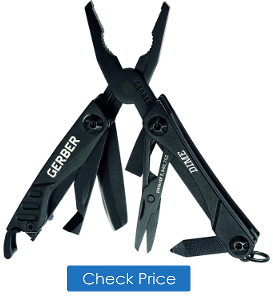 The best part is that the Gerber Dime Multitool is really cheap. It can be found for less than $20 on Amazon.com. If you can’t spend up for the Gerber Diesel, then the Dime makes a great alternative for a one of Gerber’s Best Multi Tools. The Stanley 12-In-One Multitool is the perfect tool if you want something affordable that you aren’t afraid to lose or get scratched up. It’s an entry level multitool that can be found at Amazon.com for under $15. It’s pretty incredible for the price. Made out of stainless steel, it will not corrode or rust. While not the quality of the high end Leatherman or Gerber Multitools, Stanley does offer a great alternative for someone on a budget or who wants a multitool close by for occasional use. 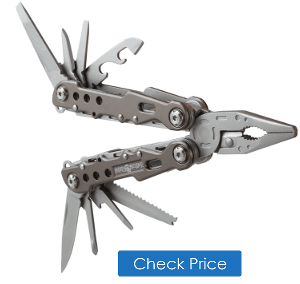 For it’s cheap price, it’s ranked in the top 5 of the Best Multitool 2020 review. 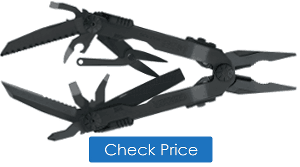 The Gerber Suspension Multitool is another quality tool for an affordable price. It features a stylish lightweight open frame handle design made out of high grade aluminum. This makes it both strong and lightweight. With the sleek butterfly design and stainless steel tools, it’s one of the most durable tools on the Best Multitool 2020 list. That’s 12 useful tools that the Gerber Suspension Multitool has to offer. This is on par with the Gerber Diesel Multitool, but falls short of the 19 tools in the Leatherman SuperTool 300. Still, it’s hefty weighing in at 9.6 ounces, so it’s got some weight behind it. You will need a sheath to comfortably haul this multitool around. For under $20 at Amazon.com, the Gerber Suspension Multitool deserves a mention in the Best Multitool 2020 review. The Leatherman Wingman Multitool offers functionality that can only be matched by the Leatherman Super Tool 300. 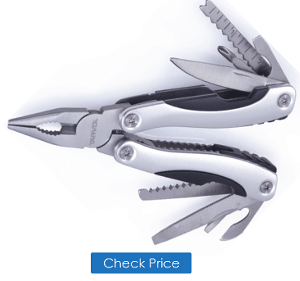 Along with Leatherman’s quality and durability, it makes for a great all around multitool. It could easily be ranked higher on the Best Multitool 2020 list. The 14 tools found in the Leatherman Wingman are more than any other tool in the Best Multitool 2020 review with the exception of the Leatherman Super Tool 300. That says a lot about the functionality of this multitool. It features one handed opening when two hands aren’t available, and the tools are available in both the closed or open position making it highly versatile. 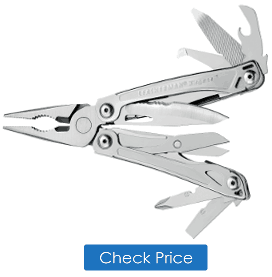 This is a great entry level Leatherman Multitool that can be found for under $40 on Amazon.com. That’s quite the deal. The Tarvol 14-In-1 Multitool is the cheapest tool in the Best Multitool 2020 review while having the most tools. Incredibly, it has 14 tools available. That’s in line with the Leatherman Wingman, but at a fraction of the cost. Just to put it in perspective, the Tarvol 14-In-1 Multitool is less than $10 on Amazon.com if you can believe it. While not the quality or durability of the top of the line Leatherman’s or Gerber multitools, the Tarvol 14-In-One Multitool is another great option for someone on a budget or causally needs to use a multitool. It even comes with a carrying case to mount on your belt. For what it has to offer at this price, it really makes it hard to not have at least one multitool in your collection. The Hoffman Richter Multi tool is one of the most rugged looking multitools in the Best Multitool 2020 review. It’s constructed of 440 stainless steel which is high grade steel resistant to corrosion and wear. It comes with a handy nylon belt case which makes carrying this rather heavy (11.2 ounce) multi tool around super easy. Magnelex is lessor known multi tool brand, but their 22-in-1 tool offers a ton of options and makes a strong case for one of the best do-it-all multitools in the Best Multitool 2020 list. It’s also under $15 at Amazon.com, making it one of the better deals out there for a quality multitool that does it all. Connector Slot for Accessories + Eleven extra attachable bits: 3x Philips Screwdriver Bits, 3x Flathead Screwdriver Bits, 5x Hex Key Bits. That’s right, along with the 22 different tool options, the Magnelex also allows you to interchange bits. It comes with 11 different bit heads which can be quickly unsnapped from the adapter. This improves the versatility beyond many other multi tools and why it’s included in the best multitool 2020 review. It’s no surprise that Gerber and Leatherman are at the top of the multi tool industry. With their quality products and great customer service, they continually lead the pack with innovative ideas and gadgets. But what sets them apart and what should you look for when choosing between the two to make that next multitool purchase? When comparing Gerber vs Leatherman, it’s important to look at similar items for a fair review. Both Gerber and Leatherman offer a wide range of products that include multi tools, pocket tools, pocket knives, wearables, and a whole lot more. 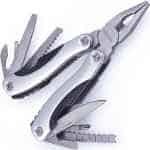 Leatherman currently offers around 35 different multi tool models, while Gerber has around 34. 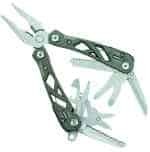 As you can see, there are plenty of items available to compare the two, but everyone knows that when they hear the word multitool, they think of Leatherman. And it’s not by accident that this is the case either. It takes years worth of satisfying customers and being an industry leader for something like that to happen. Because of this, the reputation of Leatherman multi tools cannot be matched. 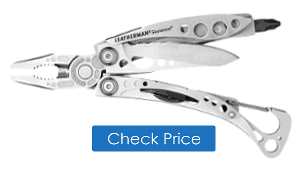 Leatherman offers a 25 Year Limited Warranty on its multitools. If anything happens to your multi tool you can just send it back and Leatherman will fix it. 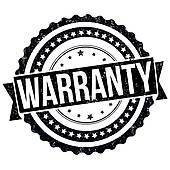 As long as you meet several key warranty details, such as you didn’t abuse it, alter it, or us it in an unreasonable manner, the 25 year warranty will be there to fix any defects. Gerber goes a step further by providing a Limited Lifetime Warranty in North America and 25 years outside of it. So if you’re in North America, Gerber stands behind all defect and flaws in workmanship as long as you own it. Granted there are some key warranty details you must meet, such as not abusing the multitool, but Gerber will fix it for life. When it comes to Gerber vs Leatherman Warranties, Gerber multitools have the upper hand. Realistically speaking, 25 years out of a multitool is about all you could ever ask for and most get lost or misplaced well before that. I think you will be fine with either brand. 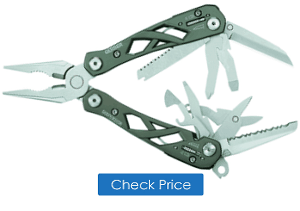 All in all, the prices between Gerber and Leatherman multi tools are comparable. They both offer such a wide range of products that it makes it easy to find items offering the same features at the same price points. 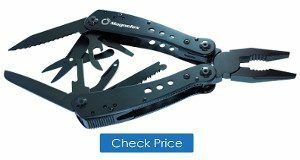 They both have affordable version of their products such as the Gerber Dime and Leatherman Wingman. If you need a step up in both quality and features, they have that too. The Gerber Diesel and Leatherman Super Tool 300 are essentially the last multitool you will need and the price still isn’t bad at all. Keep in mind, that neither offer an extremely cheap multi tool, so look to the Stanley 12-in-1 or Tarvol 14-in-1 tool if you are on a really strict budget and need one for around $10 or less. The edge for overall quality goes to Leatherman, but just because they’ve built their reputation in the multi tool industry on it. That’s not to say Gerber doesn’t offer some great products, they do, it’s just they are so close that there’s really not a design flaw or quality flaw to set them apart enough to pick one over the other while comparing similar products. When it comes to selecting a new multitool from Gerber and Leatherman, it often comes to personal preference, brand loyalty, product specific features, or design. Basically, pick which looks best to you, meets the dimensions and weight of your liking, and has all the key features you use a lot. It’s never been easier to own a dependable and handy multitool. The options are endless and the features packed onto each multitool are some of the most widely used implements for daily activities. Whether you need a heavy duty multitool like the Leatherman Super Tool 300 weighing it a 9.6 ounces and containing 19 tools, or the compact Gerber Dime Multitool, there’s something for everyone. 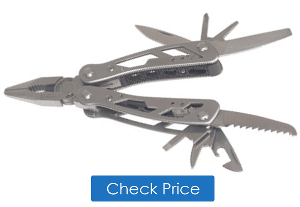 Even the Tarvol 14-In-One Multitool gives someone the option of owing a multitool for under $10 at Amazon.com, which almost unheard of these days. Get one of these handy multitools and never be without that critical tool again.